Spring break is a magical time of year when you get to escape the daily grind for a few days in favor of relaxation and good times. Ideally, it’s enjoyed in a place where you can soak up some sun, party hard, and enjoy a cocktail or ten (though…pace yourself!). Apex Social Club is located in the iconic Palms Casino Resort. That means that if you book a room in the newly updated resort, partying is a pleasure and doesn’t require transportation to or from the venue! That means that you can get to and from the club with ease, and don’t have to worry about getting lost or losing your phone in a cab. You can just take the elevator back “home” and crash! The Palms Casino Resort is really something to see these days, as it recently enjoyed a multi-million dollar renovation. No detail was left untouched: the rooms were updated, the casinos were given a face-lift, and there are plenty of new exciting restaurants and clubs (including Apex!) to enjoy. It’s the perfect place to enjoy all the best that Vegas has to offer in one resort. Apex is located in the Palms Casino Resort, but you definitely don’t want to take the stairs. We’re located on the 55th floor! The gorgeously designed space makes the most of the lofty height, featuring a unique indoor-outdoor space featuring beautiful art, dramatic decor, and some of the most Instagram-worthy views of Las Vegas. Take it all in from the 55th floor; feel like the king (or queen) of the world as you sip a cocktail and enjoy the dramatic 360 degree views of the city. 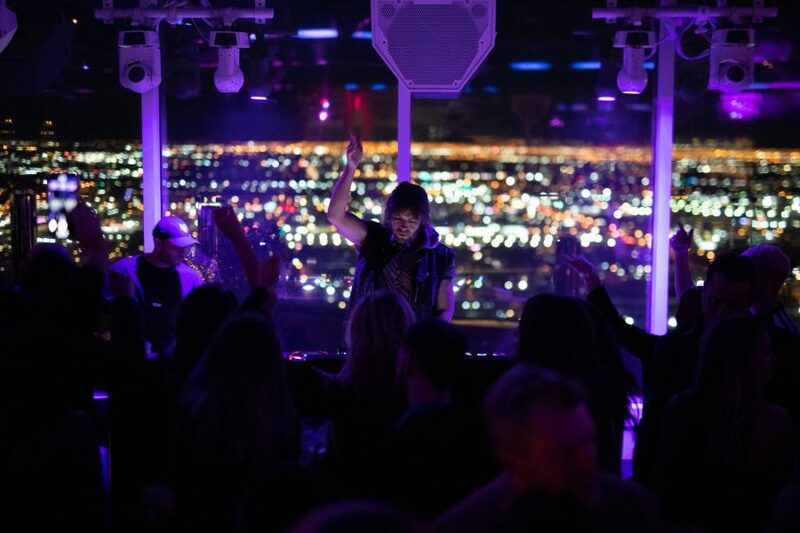 It’s great to party on top of the Palms! It wouldn’t be a proper Spring Break without some partying, would it now? At Apex Social Club, we bring the party with incredible, mind-blowing entertainment offerings. There’s something going on nearly every day that the club is open. Depending on the day you visit, you might be treated to one of our regular offerings like Elevate Thursdays or TCB Sundays, or you might enjoy a memorable set from some of the best local DJs or internationally renowned acts passing through town! Be sure to check out our Events page to stay up to date with the most exciting goings-on. Be sure to make a reservation if you see an event you’re interested in, because they do get crowded! Let’s face it, it’s no kind of Spring Break without a few drinks. At Apex Social Club, we’ve got you covered with a full bar. Enjoy your favorite drink, prepared by our talented bartenders, and soak in the surroundings! 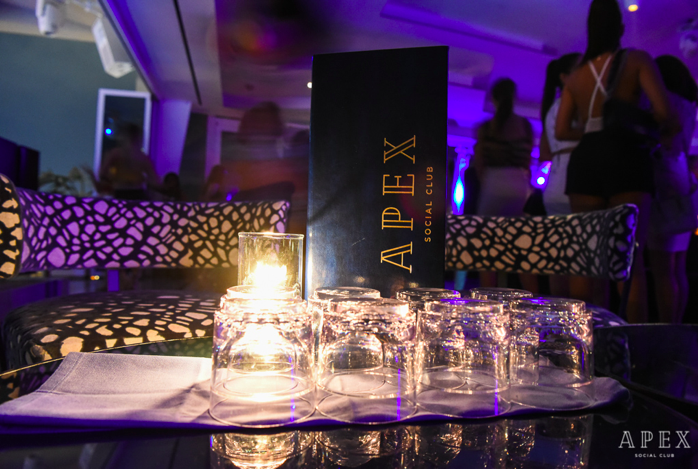 Hands down, Bottle Service is the best way to enjoy Apex Social Club in style. It’s the ultimate VIP service, and it’s a great way to party with friends. Bottle Service involves the advance purchase of bottles of alcohol. In return for your reservation, you’ll receive mixers so your group can make cocktail creations of your own choosing, as well as a reserved party space within the club. Picture yourself in your own private party area enjoying a cocktail as the party unfolds around you. It’s truly the best way to Spring Break! Learn more about Bottle Service in this post. Apex Social Club is undoubtedly one of the best Las Vegas Spring Break destinations. 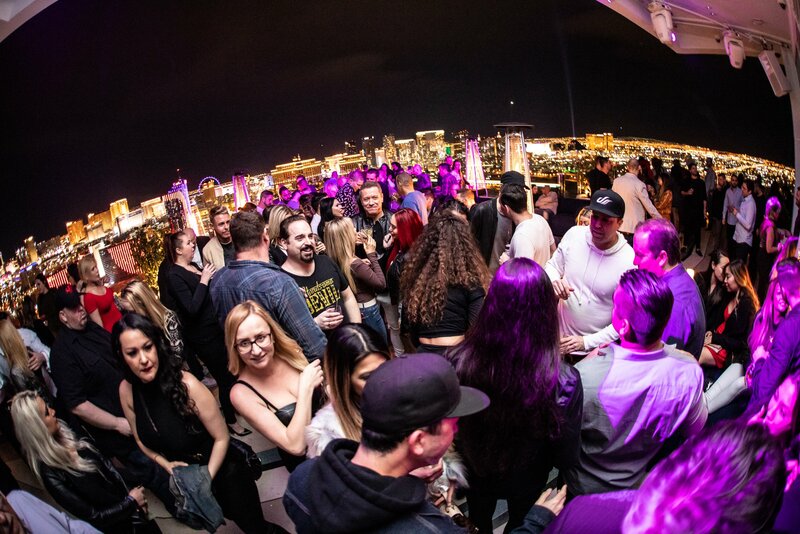 With its killer location, incredible views, and VIP offerings, our venue is truly a Las Vegas club unlike any other. It’s the perfect setting to enjoy a Spring Break you’ll never forget in Sin City! We hope to see you soon at our club. Have you made your Spring Break plans yet?